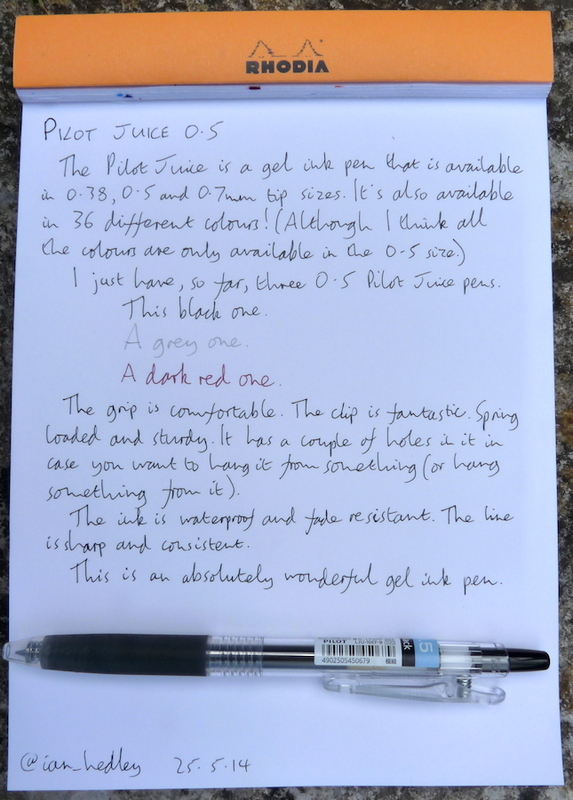 Pilot Juice gel ink pen review – Pens! Paper! Pencils! The grip is comfortable and slightly squishy. The barrel is clear plastic and a good sensible size. 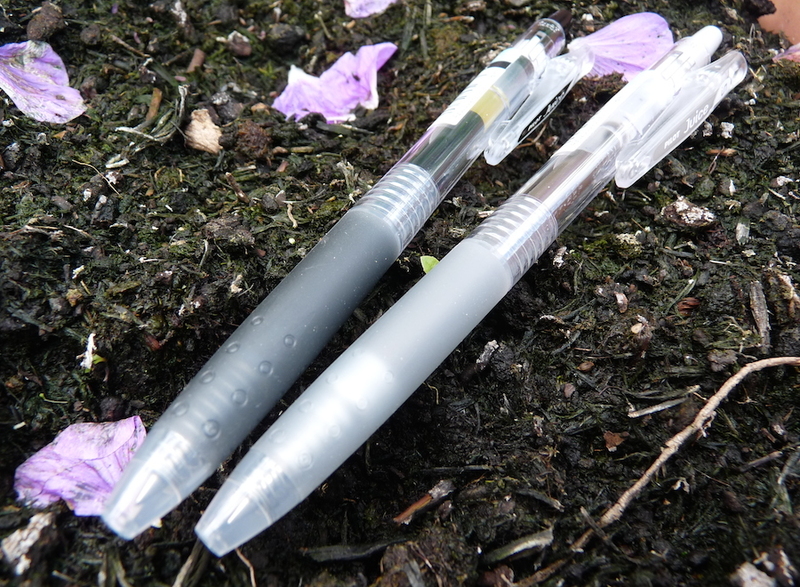 The ink is waterproof and fade-resistant. It writes in a very consistent and sharp line. 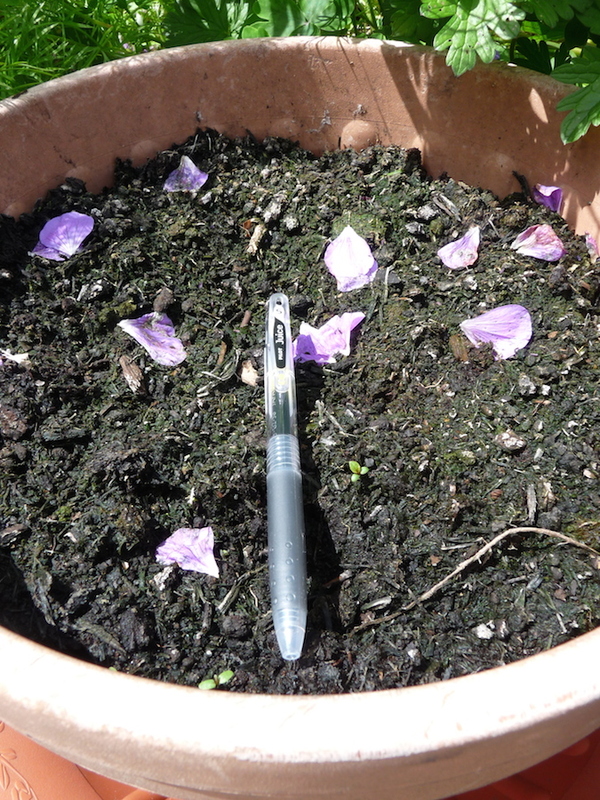 It’s a good quality writer just as you would expect from Pilot. The clip is excellent. It’s sprung and will clip onto pretty much anything, within reason. It also has a couple of holes in it so you can hang it from something or hang those little charm thingies from it. Although if you are, like me, a gentleman in his 40s, you perhaps shouldn’t. 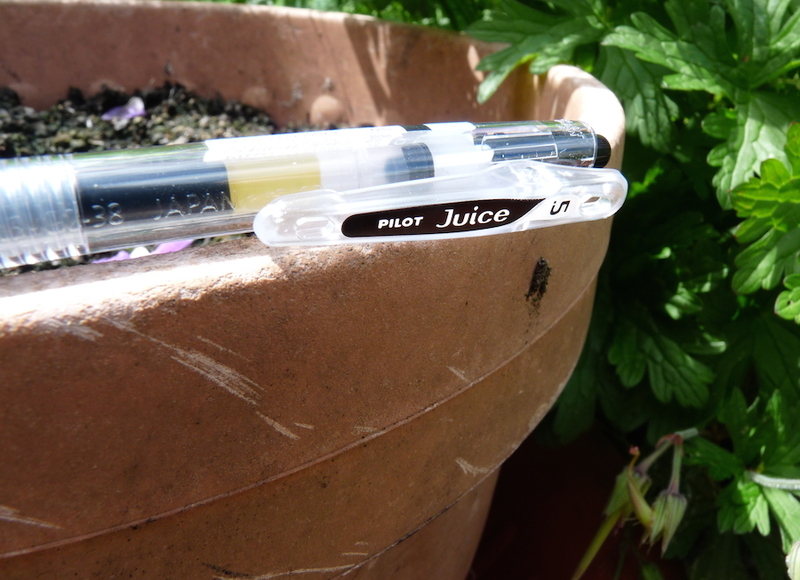 The Pilot Juice has the writing quality of a Hi-Tec-C but a much better barrel. 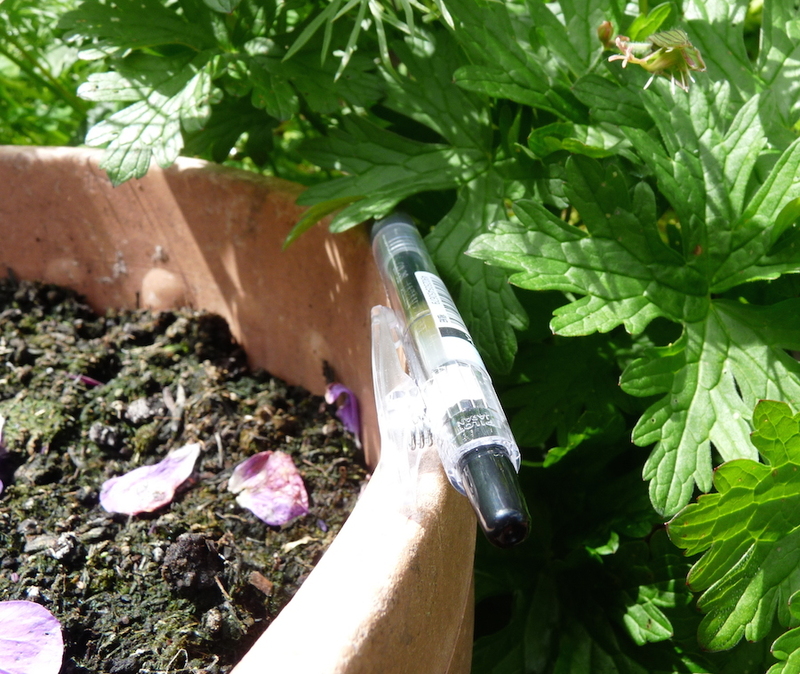 The 0.5mm tip is my preferred size but with such a range of tip sizes and colours there’s a Pilot Juice for everyone. Each time I place an order at Cult Pens I treat myself to another colour. 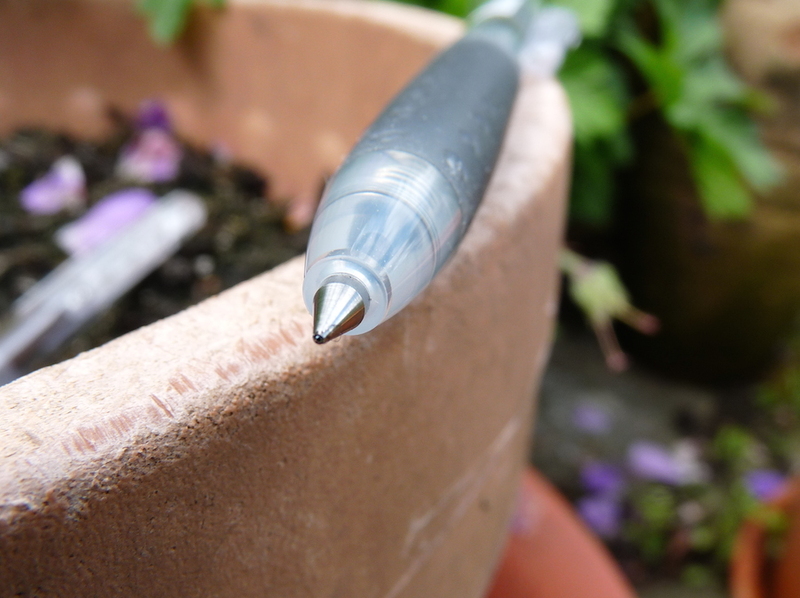 The Pilot Juice is my new favourite gel ink pen.